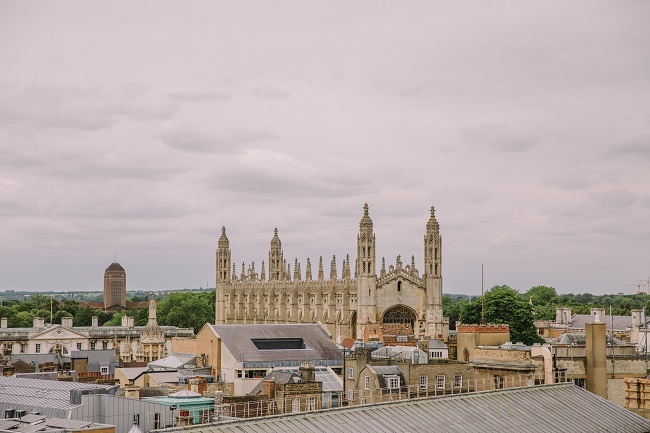 Welcome to Cambridge: New beginnings! Thumbs up for being brave enough and taking part in this great adventure. If you are anything like me, leaving your home country will be one of the biggest decisions you’ve ever made. As my future self, I can say it was also most definitely the best decision. Going to university is already a challenge: being in a new country while going to university just adds that mixture of scary that makes life exciting but I’m sure you’ll ace it, I’m rooting for you! When I came to the U.K. in January I was a bit nervous, it was the first time I was leaving home; I felt really small. If airports can do something is definitely make you feel small (plus I’m 5ft 1”). There were so many crazy thoughts running through my head, I just kept wondering if this was a good idea at all. But when you pass the gates you just feel overwhelmingly excited. Everything cleared up when I got out of the airport and I could actually sense that it was real. I was actually going to university! I just couldn’t help but smile all the time, everything was so different, so new. Learn to hold on to the first times and impressions you’ll get. I get that, back home, you were used to the same streets, with the same people all the time. Which was good and I bet it was hard to say goodbye to all of that. But while you are here, be aware of the new opportunities you are facing, the new stories that you are making and hold on to how they make you feel. Please don’t miss the opportunity of remembering the best years of your life, you’ll get to experience them in a whole new level if you are aware of how special they are. IT’S CHEESY I KNOW, but I just remembered when I came here, the first time in the train station, the first time cooking by myself, my first class. I got them all recorded in a notebook because I expect to look back on those times and remember the thrill of happiness those little things gave me. AND WHY AM I TELLING YOU ALL THESE CHEESY STUFF? Because when I get homesick or I feel there’s lots of pressure, I look back on those first experiences and they make me remember why I’m here and why it’s worth it. If you came here with a dream, with a hope or a goal, hold on to it as hard as you can, make sure you make it happen. You got the support here, so don’t be afraid to shout if you need help. Get to know people, learn from each person you meet. Here’s one of my favorite quote of all time **drum roll** for you to enjoy, overthink and write down everywhere because, why not? I’ll recommend you a book because that’s what good friends do. 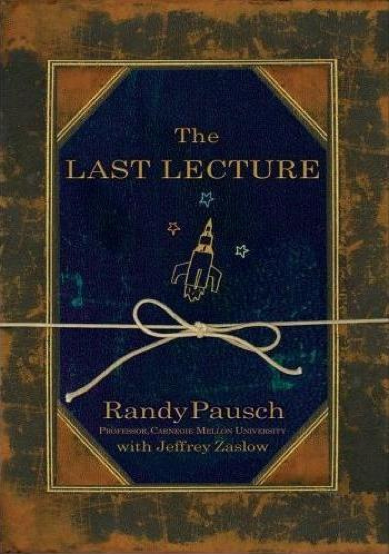 The Last Lecture was written by Randy Pausch and Jeffrey Zaslow in 2008. I found this book around my second semester with CRIC and it’s that type of book I would always go back to and read it all over again, because it has so many important life lessons. This book is based on Carnegie Mellon lecturer Randy Pausch’s “last lecture”. He delivered his last lecture on September 2007 one month after receiving the news that he wouldn’t survive pancreatic cancer, which was diagnosed a year earlier and turned out to be terminal. The last lecture was titled “Really achieving your childhood dreams” and it got a standing ovation from 400 students and colleagues. The book and actual lecture don’t differ much but as always, the book shows you things that couldn’t be covered on the lecture. In the book you get to know why it matters. Pausch takes us to a brief story of his life and the moments that shaped him, the moments that allowed him to dream and when he was able to make others’ dreams come true. He emphasizes the importance of loving and having fun on whatever you do. What I truly love about this book is that besides having life changing lessons it also shows us that even little things can make the difference. For example, there’s a section where he talks how important is being grateful, but not just dropping “thanks” emails, the importance of little “thank you” notes that you leave on the desk of that bank employer who was really nice to you or the nurse who checked twice on your loved ones. He even tells the story of how a little “thank you” left in an admission folder changed the future of one student. So I encourage you, low key command you (I’ll stare at you until you get awkward and read it) to read this book. Is a fairly short and light reading, it’s only 224 pages. I know that as soon as you start reading it you won’t be able to put it down except to wipe your tears (YES I CRIED DON’T JUDGE ME). You can find the book in the university library, there are a few copies in there. Yes, this quotes time is an actual thing. Enrolment week is that time of the year where you realise you should have brought your original qualifications with you, or that you are smart/lucky enough to pack them. It is also the time to get the anticipated student ID. Subsequently, send pictures to all your friends and family members, regardless of how bad you look on that picture…or maybe I was the only one who did that. 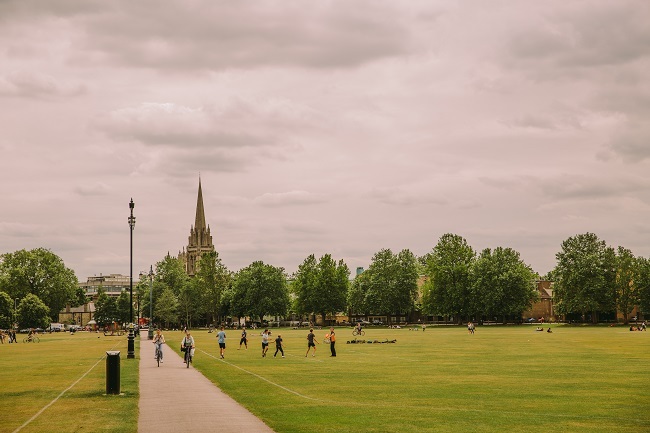 To make enrolment run as smoothly as possible, the main thing is bring with you all the necessary documents and pay attention to the program given to you. When in doubt about what documents to bring, it’s always good to have handy all the ones you applied with. Also, make sure you have originals as well as copies. Keeping that in mind, enrolment should be a good experience for you. Also while enrolling you’ll take part in the world’s oldest sport - Queuing! We all have to do it, and no, no one ever enjoys it. As a professional queue-er I’ll give you the only advice you’ll ever need to beat long lines. Get. There. Early. I remember when I enrolled for the first time. You just have to get to the place, hand your documents in, smile for the picture and then go to the computer room and the do online registration. As I student I really didn’t see much to it, everything seemed quite simple. As now I get the chance to help our with enrolment on the staffing side, I see that the staff put so much more effort in to it than just check your papers when you arrived. There’s organisations of the groups. 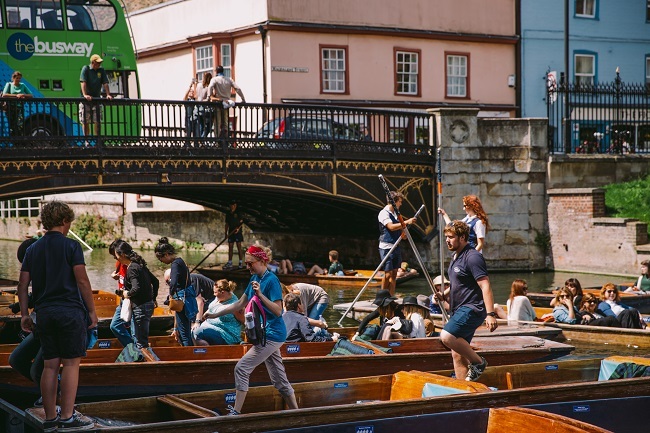 The staff have to allocate so many students and make sure each students gets their packs, ID, timetable and all information regarding Cambridge or Chelmsford and the full enrolment/orientation program in a few days. All of this while making sure no one collides and taking time on a personal basis with each student. Besides that, there’s records to create and update, rooms to book and staff are dealing with each student’s individual needs. All of this takes time, and a huge effort from each member of staff. So, when you get here for enrolment remember to follow your program, get your documents and enjoy the experience. As tedious as it may sound, enrolment is your first step toward your academic life. Enjoy meeting the staff, look at the people around you and try to get to know them, they’ll be your new peers and they are all dealing with the same thing. And there’s free snacks, who doesn’t love a free snack?! By this time you should already be expecting this. You may have seen the term bullet journal popping on your feed quite a lot lately, followed by a very artsy picture of a journal with some suspiciously nice handwriting. Since the start of my second year I’ve decided I’d crack the bullet journal code – what’s behind the pretty handwriting, colourful patterns and future logs. What’s all the buzz actually about? So, what is a bullet journal? It is the most entertaining way to organise yourself (yes I’m a bit biased – thanks for noticing). It’s a mixture between a to-do list, calendar and diary. Potentially anything you want it to be while keeping you organised and on top of your to-dos. Sounds nice but… is bullet journaling for me? As a personal opinion, bullet journal it’s fit for everyone. You don’t need to be super artsy (or have really nice lettering skills – honestly how do they even do it?) it’s more about coding your activities while simultaneously keeping your ideas and upcoming events in the same track. This have a great effect on the way you process things. An analogue system engages your brain and it encourages a deeper analysis of activities. Now you might be thinking that as cool and nice as going back to organise your life with the good ol’ pen and paper might be, that sounds like time and effort… and who has that these days? And here’s the awesome part, by design bullet journal helps you to prioritise and ultimately decide what’s worth doing and what isn’t. If you can’t be bothered to schedule into your week or find out you genuinely don’t have a time for it, it’s not worth keeping it in your mind – simple but dramatically important. Now while you consider bullet journaling, here’s some really cool quote to keep in your head… or post on Facebook and appear smart (I got you). In this video Michel takes us for a tour around the campus to share her top tips for grocery shopping: supermarkets near campus, best apps for grocery shopping, and tips for a weekly shopping list.